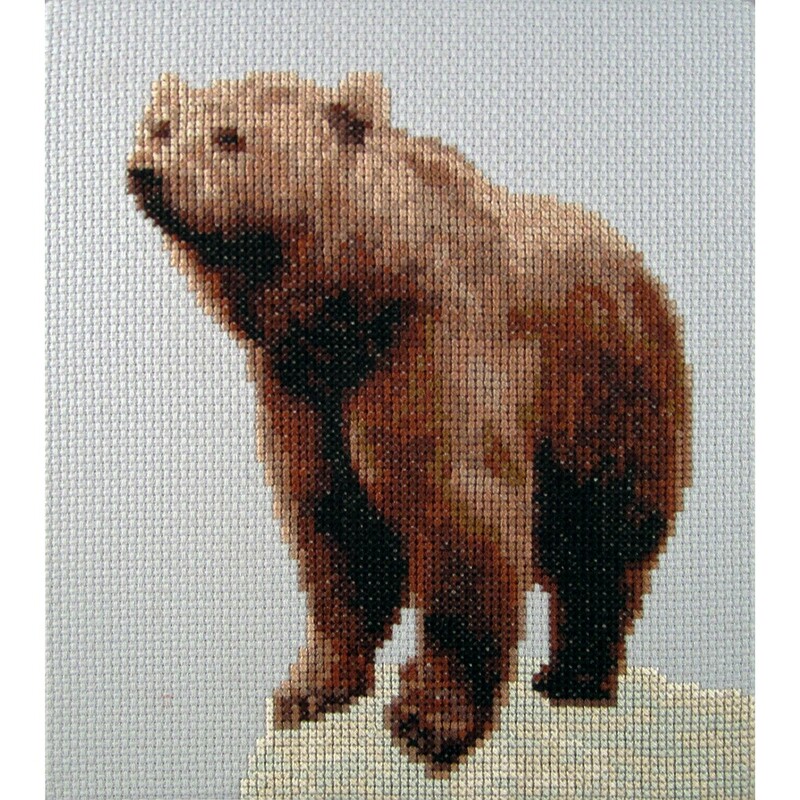 Small cross stitch kit of a brown grizzly bear, looking out over his territory on a rock. 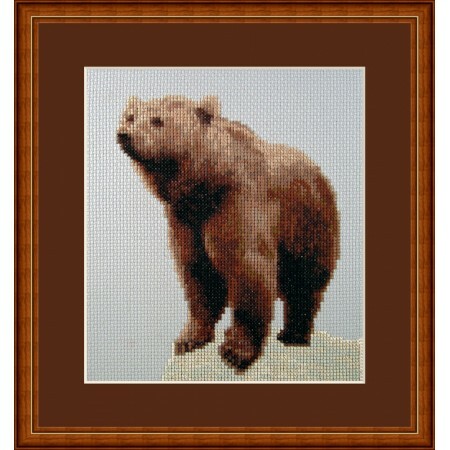 Small and easy to make. 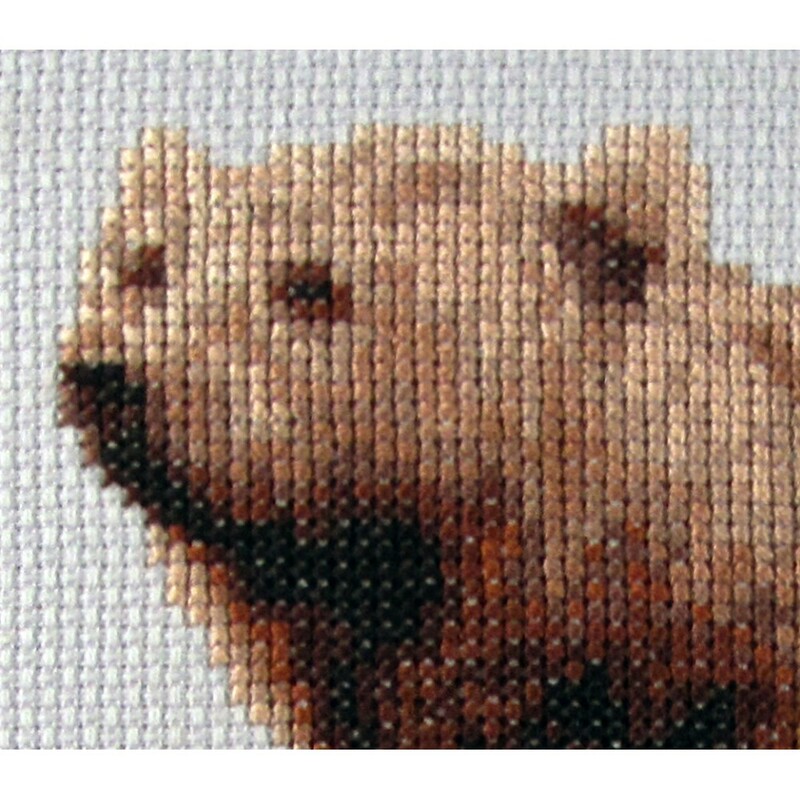 With 16 colours DMC floss and Light Grey 14 count aida by Zweigart.